These Marinated Broad Beans are my idea of summer in a jar! Bursting with flavour, they’ll be the highlight of any buffet, Ploughmans or lunch box. 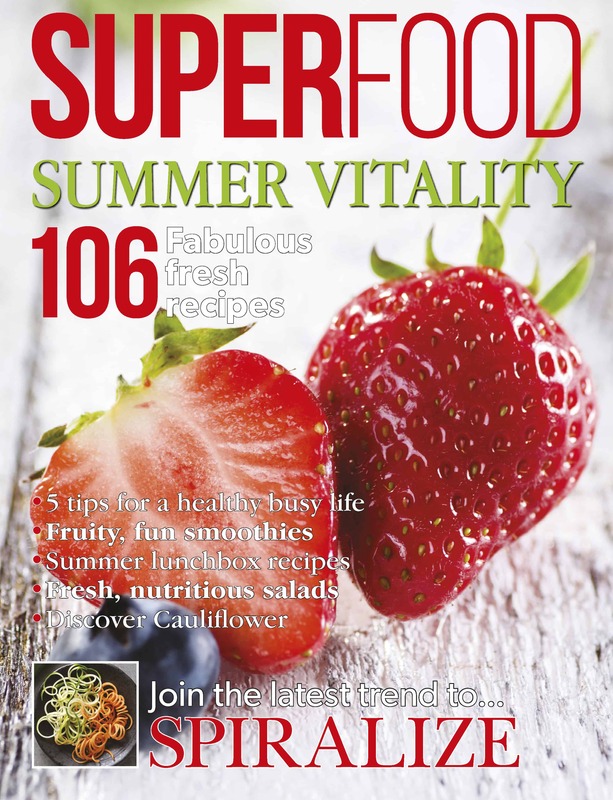 The magazine in question is called Superfood, and it contains a huge collection of fresh, fun recipes that entice you to step out of your comfort food rut and reassess how healthy food can also be tremendously tasty! And so today I want to share one of my six recipe published with you, and this is possibly my favourite of the collection, Marinated Broad Beans. I hated broad beans for years. Fluffy, woody, overcooked things that had no flavour and were unpleasant to chew. All that changed when my Dad started growing them and he introduced me to the tender young broad bean. Now we’re talking! Sweet and soft, they can be eaten raw if plucked early enough and even the pods can be eaten then too. If you can’t find a decent stash of young broad beans, hunt down some frozen beans instead. So long as it says young or tender on the bag you should be good to go. They will have been blanched before freezing so just defrost and pick the recipe up there. Steam or blanch the beans for 3-4 minutes until they are cooked, but still bright green and retain their crunch. Tip into a bowl of iced water to stop them getting overcooked and leave to cool. In a large glass jar add the coriander, vinegar, oil, garlic, lemon zest and salt. Pop on the lid and shake well to combine the flavours. Drain and dry the beans in a clean tea towel and place them in the jar too. Pop the lid back on and shake again to cover each bean in the various flavours. If you fancy hunting down a copy of Superfood Magazine you can download a digital copy here, order a physical copy here or find it at your local newsagent or supermarket. These broad beans look amazing! I want them now :) Congrats on the recipes in Superfood – I can’t wait to see it. The first time I ever tried broad beans they were in a chicken tagine and they were the frozen supermarket variety. Put me off broad beans for years! Then they started arriving in my veg box delivery, fresh from the croft and oh my goodness I am hooked! Loving this recipe and congratulations on the magazine feature!! I must admit that I’m not a fan of broad beans as always thought you had to peel off the outer skin to make them edible. However I shall now keep a look out for young/tender ones and perhaps I can be converted! Congrats on getting your recipes in the magazine. Thanks so much Tracy :) It’s fun seeing your pics in print eh?! Hi, these look lovely, and I have a bumper crop of broad beans this year! just wondering how long these will keep for in the jar?